Un-Du ADHESIVE REMOVER Sticker Tape and Label Remover 00205 at Simon Says STAMP! 00205 This item is on reserve until If you would like to reserve this item now, you may purchase it now with the rest of your order. We will hold your order now and ship your entire order as soon as this item is back into stock. If you would like your order to ship now, please place this item on a separate order. Success, Un-Du ADHESIVE REMOVER Sticker Tape and Label Remover 00205 has been shared! Squeeze several drops over the top of a sticky label and use the spoon-shaped scraper to peel back the label. Add a few more drops and rub to remove residue. Non-staining. Acid-free and photo safe!! 4 fluid ounces, and comes with scraper which measures approximately 1.75" x 2.5"
Safely removes all self-sticking & pressure sensitive stickers, tapes, labels, & adhesives on contact. 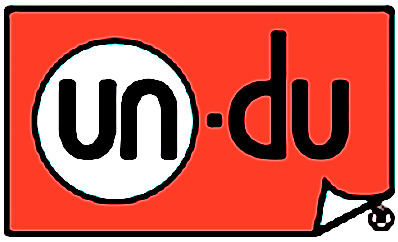 Un-du Products Inc. is a company dedicated to providing to the consumer and commercial market a unique and one-of-a-kind product that safely removes all self-sticking stickers, tapes, labels, and adhesives on contact without harming the substrate surface and you can re-use the sticker!